Urban India today, faces serious challenges of growth and its management. Across geographies, the issues of urbanization manifest in the form of overcrowding, congestion, insufficient infrastructure, inadequate service provisioning mainly in terms of drinking water, sanitation, energy, transport, solid waste management, environmental degradation, and pollution, etc. These, along with the poor management of rapid growth, affect the socioeconomic development of the country. So by using newly and broadly available technique in construction infrastructure town planning engineer or planner can establish well developed buildings. Which are good in aesthetic safety proof and any disaster free. Public buildings are old in construction such as famous auditorium markets schools colleges are good in construction but sometimes safety issues are creates for such kind of view it is necessary to study and built safer public building. Again with safety there are lot of energy systems are used in public buildings such as lights fuels gas water etc. Due to urbanization these things are very much required to human beings but these things are non renewable or pollution making things so it is need to use concept of green buildings used in the public buildings. Plan of the building is the assembling and grouping and arranging its component parts in systematic manner and in proper order. So as to form a meaningful wholesome and homogeneous body with a comprehensive look out to meet its functional purpose. 6. Whether single storeyed or multi-storeyed, detached or semi-detached or row houses. Planning of building pre-supposes certain principles. Most of our buildings are constructed as dwellings and as such the principles providing guidance in the planning of such buildings have been given here. The basic principles have been enunciated on broad lines only and may be applied to the problems on its individual merits. Anne Taylor is Professor and Director of The Institute for Environmental Education, University of New Mexico, and co-founder (with architect George Vlastos) of the School Zone Institute, a body created in order to combine the curricular and child development goals of education with the design elements of architecture. In a recent paper she pointed out that the prime focus of the School Zone model is that the physical setting of the learning environment does make a difference in, and directly contributes to, a child’s behavior and learning . Planning research focussed on a scenario of greater numbers and intensities of floods as a consequence of climate change, such that the research plan was strongly influenced by the flood events of 2011. The Cyclone Testing Station grew out of the same research group as the Centre forDisaster Studies in the 1970s and comprises engineers who specialise in wind-loading . A net zero-energy building (ZEB) is a residential or commercial building with greatly reduced energy needs through efficiency gains such that the balance of energy needs can be supplied with renewable technologies. Despite the excitement over the phrase “zero energy,” we lack a common definition, or even a common understanding, of what it means. In this paper, we use a sample of current generation low-energy buildings to explore the concept of zero energy: what it means, why a clear and measurable definition is needed, and how we have progressed toward the ZEB goal. The way the zero energy goal is defined affects the choices designers make to achieve this goal and whether they can claim success. The ZEB definition can emphasize demand-side or supply strategies and whether fuel switching and conversion accounting are appropriate to meet a ZEB goal. Four well-documented definitions—net-zero site energy, net-zero source energy, net-zero energy costs, and net-zero energy emissions—are studied; pluses and minuses of each are discussed. These definitions are applied to a set of low-energy buildings for which extensive energy data are available. This study shows the design impacts of the definition used for ZEB and the large difference between definitions. It also looks at sample utility rate structures and their impact on the zero energy scenarios. Building is a structure which consist of walls doors windows roof floor beams column staircase and many of the structural and non-structural members used for residence commercial industrial and educational purpose. • Grouping: Buildings whose functions are related with each other that should located on same site. • Foreground: Building should have sufficient foreground for achieving better result. 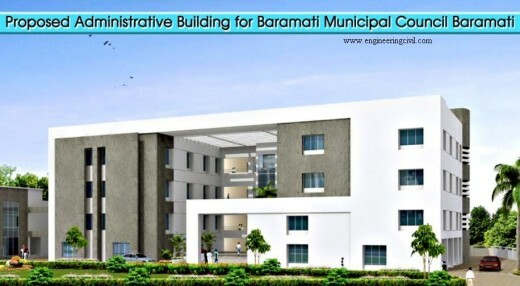 • Parking space: The various PB such as town hall, hospitals have lot of crowding of peoples due to which it is necessary study parking space around site for construction. • Dependent buildings: These buildings are those whose function are related to each other such as civic centers art gallery. • Independent buildings: These are the buildings which have to stand alone such as monumental buildings. 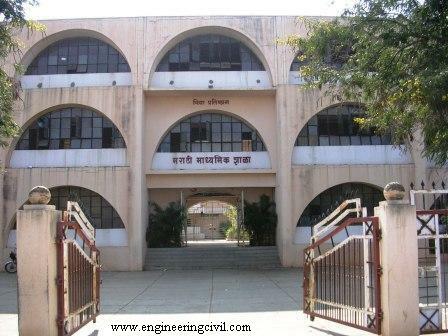 • Institutional buildings: Specially consist of school colleges etc. Lifts: Lifts are provided for quick and efficient vertical circulation. Types of lifts and no. of lift depends upon the character of one building. Entrance & Reception: For every PB some space is required for entrance it depends on no. of persons entering at one time general sizes are 3m*6m, 3.5m*7m, 4m*5m and 8m*10m. Parking space, Garages & Cycle stands: Open parking space is essential around any type of building. The area required will depend upon the nature of building & no. of persons visiting the building. For cars 20sqm/vehicle, motorcycles 3sqm/vehicle, cycles 1.2sqm/cycle area is required. Never in the history of man, planning has been so much in forefront as it is today. Without planning nothing succeeds. So we have defense planning at national level, regional planning, urban and rural planning at the state level so on and so forth to family planning at domestic level. Our india has so far already implemented its eleventh five year plan for the development of country in all fields. Planning means pre-thing and pre-arranging things before an event takes place so as to achieve good results in health, convenience, comfort and happiness of all livings beings. We know that schools, colleges ,banks, markets, library, hostels are the public buildings so let us discuss the planning of these buildings respectively. School is a place of learning. The national objective of education is to create conductive environment in school where children are stimulated to go in search of knowledge and develop their creative abilities. To achieve this, all concerned with education, have to play their respective roles effectively. The classroom environment has a direct bearing on the development of personality of children. Its shape, size, flexibility, intensity, ventilation and adaptability to new teaching aids do influence pupils comprehension irrespective of the teacher’s ability. Therefore proper planning of school building plays a vital role in imparting meaningful education and in creating ideal teaching environment. The school site is the first and foremost educational tool in providing quiet, healthy and pleasant environment. Its size depends upon the requirement for different activities. The school site be adequate enough to meet the future needs of the school, i.e., healthy facilities, physical education requirements, community, cultural and recreational programs, teachers houses with scope for future expansion. Recommended size of the sites for different education programs are presented in table 1. Minimum open spaces around the school buildings except for nursery level shall not be less than 6m wide according to NBC 2005. 1. The surroundings must be quiet, calm, peaceful, gleeful and cheerful with adequate natural breeze and sunlight. 2. It should be away from dust and busy traffic and from ghastly as those of cemeteries and slaughter houses. 3. The site should be gently sloping and well drained. 4. The site should be at a minimum distance of 300 m from continuous source of sound as a workshop if no obstruction exists in between. 1. Built in area of a school should not exceed 25% of the site area. The remaining 75% of land is to be used for sports fields and gardens. 2. It should be single storeyed, double storeyed and rarely storeyed. 3. Minimum plinth height of any building should be 750 mm. With the rapid advancement in teaching technics, education in primary schools and secondary schools is being reoriented to meet the ever growing needs of the day. In recent years education policy emphasizes to educate children through activities related to life. A class room should not be a mere enclosure of space but should meet the diverse needs of multifarious activities of the students. 1. Basic dimensions of children and their space requirement. 2. Arrangement of furniture and equipment. 3. Number of students to be accommodated. 4. Type of activities to be carried out. 5. Diverse seating arrangements essential for these activities. 6. Comfortable angle of vision of the black board from any position in the class room. The class room is to be designed at the rate of 0.9sq m per pupil of primary schools, 1.11sq m per pupil of middle schools and the rate of 1.2sq m to 1.5sq m per pupil of secondary schools. The width of a class room may be restricted to 6m for effective teaching. The length of a class room should not be more than 9m. A minimum class room size of 6.1m*7.3m is recommended for primary school, with furniture and 6.8m*7.3m for middle and higher secondary schools with furniture. It should have a minimum length of 20 m and minimum width of 9 m excluding the stage and green room with toilet. A minimum head room of 6 m is required. Longitudinal slope may be provided. Balconies are not desirable. Stage floor is to be kept 1.1 m above the floor level of the first row of seats. Depth of the stage is 2.1 m to 2.4 m if only to be used for lectures. It should be a minimum of 6 m when used for dances and dramas. 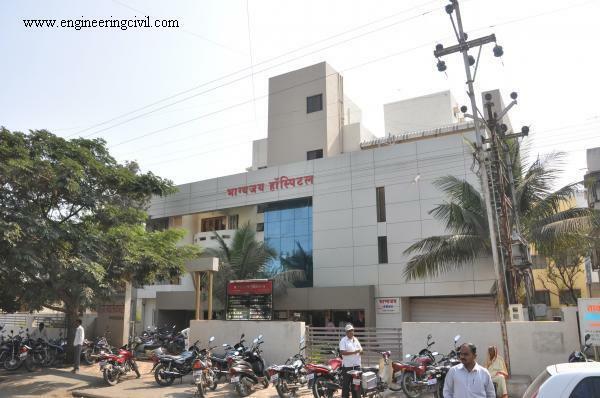 Hospital is place where people are treated for various diseases and also given advices for healthy living. Human health and environmental hygiene are the two vital prerequisites for the growth of strong and prosperous nation. While planning health buildings, factors as psychology of patients, lighting, ventilation and acoustics, orientation and thermal comfort, aesthetics and color scheme; circulation, entry and exit traffic flow control play a vital role. The buildings for health may be classified as clinics, health centers, maternity homes, nursing homes, general hospitals, super specialty hospitals etc. A dispensary is a small health center where medicines are prescribed and given to the patients. A clinic is place for medical examination and treatment. Private doctors have their own clinics. Primary health centers also run by government. These are suitable for population of 800 to 1000. 1. General should be located centrally in a quiet place which is well connected by convenient means of transport. 2. The infectious diseases like T.B. hospitals are located away from the city with convenient means for transport. Generally these are established at a place, of healthy atmosphere, like a hill station. The size of a site for a hospital should be large enough to permit open planning which is essential in tropical countries. Further essential units are diagonals and treatment, administration, education and research. It is desirable to design the hospital with horizontal spread type of two or three stories. The vertical spread type of layout in the form of multi-storeyed buildings is really adopted except in big cities in big cities where land cost is very high. Out-patient department (OPD) provides consultation, investigation, diagnosis and treatment for patients who require little or no recovery services and not admitted into the wards. It consists of a spacious waiting hall, consulting rooms, dispensary, emergency section, office, stores and sanitary units. Consulting rooms for medicine, surgical, E.N.T., Dentistry, Gynecology, Pediatrics, Orthopedic, Psychiatrics, Family planning, Skin, Venereal diseases, Urology and Radiology are required. Ophthalmic room requires a minimum length of 6.3 m for eye testing and hence, a length of 7 m is required for it. The floor area of each consultant is 10 sq. m. to 12 sq. m. Its entrance is designed to suit the disabled in wheel chair. The waiting hall space is provided at the rate of 1.4 sq. m. per patient and is a minimum of 36 sq. m. The area for emergency section and dispensary are 10 sq. m. to 15 sq. m. and 20 sq. m. to 30 sq. m respectively. It consists of all facilities required for treatment of patients admitted into wards. These are wards, operating theaters, radiology department, pathology department, psychiatric department, accident and emergency department, intensive care unit, pathology laboratory, post modem rooms and mortuary. These are the specious halls in which patients are admitted by the advise of the doctors. The following measures should be kept in mind while planning and design of wards. 1. Area of ward per bed is 8 to 10sq m. Number of beds to be provided per ward is 24to 30. 2. Maximum distance from bed to wc is 12 m and from working room of nurse to the farthest bed is 20m. 3. Noise level should not be more than 40dB to 45dB during the day an35 to 40dB at night times. 4. Circulation area is 25% to 40% of floor area and depends on ward layout. 5. Operation theatres:The size and equipment of operating theatres varies according to the requirements of each hospital. It should have easy access from surgical and ophthalmic wards. Area is generally 20sq m to 30sq m. Operating theatres have single corridor or double corridor which are used for patients, and equipment. The width of corridor for patient trolleys is 3m to 4m and other corridor is 1.5m. 6. Sanitary units:Sanitary unit should be provided on the scale recommended by the building bye laws. According to NBC 2005, the following sanitary units to be provided for indoor and outdoor patient wards. A cinema building is used for cinematographic exhibition. In India the number of cinema buildings is quite inadequate to meet the needs of public also many existing cinema buildings do not have minimum basic requirements such as ventilation, clear audibility, fire safety, sanitary units, lighting, well designed exists etc. 4.3.1 Site selection: The construction of cinema buildings is not allowed in residential areas and streets of heavy traffic because these create problems to the public and also to the local authorities. The following points should be kept in mind while selecting site for a cinema building. 1. Site is easily accessible from all locations and approachable by local transport. 2. The area of the site should be sufficient to locate cinema building, drive ways, water fountain, garden, car-parks and cycle stand. It should be a minimum of 0.2 to 0.4 hectares. 3. It should be at a minimum distance of 185 m from schools, hospitals and places of worship. According to building bye-laws, the minimum size of plot for cinema buildings used for public entertainment with fixed seats shall be on the basis of the number of seats at the rate of 3sq m per seat. Open space at front shall not be less than 6m wide. 1. Reception: Entrance, booking hall, office etc. Auditorium is an enclosure where people can assemble for watching a picture projected on a screen through exhibition of cinematographic films. The size of the auditorium is decided by the number of seats to be accommodated. The rates of tickets are different for different positions of chair increases from the screen. The volume of auditorium is decided on the basis of the sound that is generated in it. It is observed that auditoriums designed with the capacity of 3.50 m cube to 4.20 m cube per person gives better acoustical performance. Floor area should be a minimum of 0.6sq m to 0.9sq m per person. This includes the area of aisle, gangways, stage etc. For cinema auditorium, ratio of height to width to length is taken as 1:2:3. Cinema screen in past was fitted into adapted theatre. Now a days increased picture size determines interior design. Traditional cinemas had small picture. The width of screen for it is 7.5m whereas 3 projector original cinema system has 30.5m screen. This surpassed by new single projector IMAX system with 70mm film used horizontally to enlarge frame size and provide 36m picture, seating being placed close, screen preventing whole picture being seen without both vertical and horizontal movement of head. The bottom of the screen above the floor at the first row of seat is 2m.The screen and rows of seat are to be arranged such that the horizontal vision is not greater than 12degree. The rear most row of seats should be at a minimum horizontal distance of two times the width of the screen from the screen. The projection room should be large enough to enable the operator to work freely at the film projection and any other equipment. The projection room consist of two 35mm projectors, a lantern for commercial and cinema advertisements and a record player. The line of projection should not make an angle of less than 80 degrees with screen. In projection room, considerable heat is generated by the arc-lamps of the projectors and hence, it should possess excessive ventilation. Separate room should be provided for rewinding the films. Usually a minimum of 16 to 20 sq m area is considered sufficient for a projection room. According to NBC 2005 the following sanitary units should be provided for male and female in cinema theatre see table no 4. 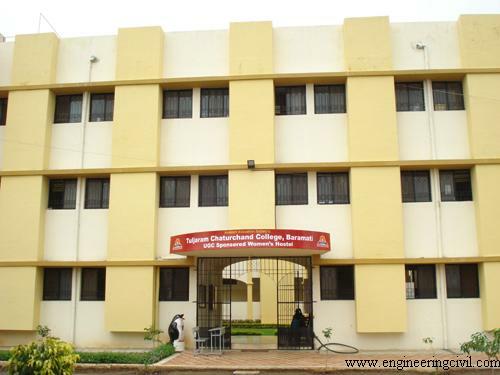 Students hostels are attached to the concerned school or college and are run by the respective managements. Students of kindergarten level of an elementary school to research scholars of an university are to be provided with both residential accommodation and food facility in the hostel. 4. Walking distance between the hostel and school or college should never exceed five to seven minutes. 2. Warden office:Warden may be provided with separate residential accommodation close to the hostel. 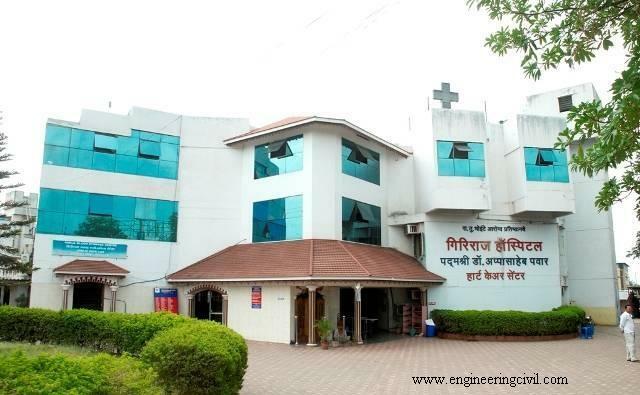 Separate hostel office building may be provided in case of bigger hostel complex. But in some cases as an isolated hostel building separate rooms for residential warden of floor area not less than 20sq m , committee room of floor area not less than 30sq m. house keeper of floor area not less than 10sq m are provided . 4. Dining Hall:It is either incorporated along with the residential rooms or separately provided such that it involves not more than five minutes walk from the residential block. Dining hall should be so designed such that it can accommodate 33% to 50% of strength of the hostel at a time.The design value is 1.2sq m per resident of the hostel. Single table of 6 seater tables are provided with chairs. More than six per table may not be convenient for easy serving and cleaning. 5. Kitchen:It should have a minimum area of 8sq m to 12sq m. It should be well ventilated and provided with exhaust Fans to expel hot air and smoke. The windows and door shutters are to be provided with flyproof meshes. It should be well illuminated both day and night. The floor should be smooth, non-slippery, easily cleaned and non-absorbent. The walls should be easily get cleaned as they easily get tarnished because of the smokes and fumes of the kitchen. 6.Sanitary units :According to NBC 2005 the following sanitary units should be provided for males and females. The office work primarily involves handling information and making decisions based upon information. This definition hides enormous variations in size of office organizations, office technology and styles of management. Its range includes multi nationals which employ thousands of people in only one of many buildings to a one man enterprises. Much of office work is secondary but office also includes space for machinery, canteen, meetings, filling, libraries and other ancilliary activities which may take up around 1/3 of space required by the organization. The interfacing of various units of office and accommodation requirements are given bellow. 4.5.1 Entrance: The size type and location of the entrance is dependent on whether the whole building is to be occupied by one office, number of firms or whether the lower floors are accommodating shops and stores and the upper floors are allotted for the office. 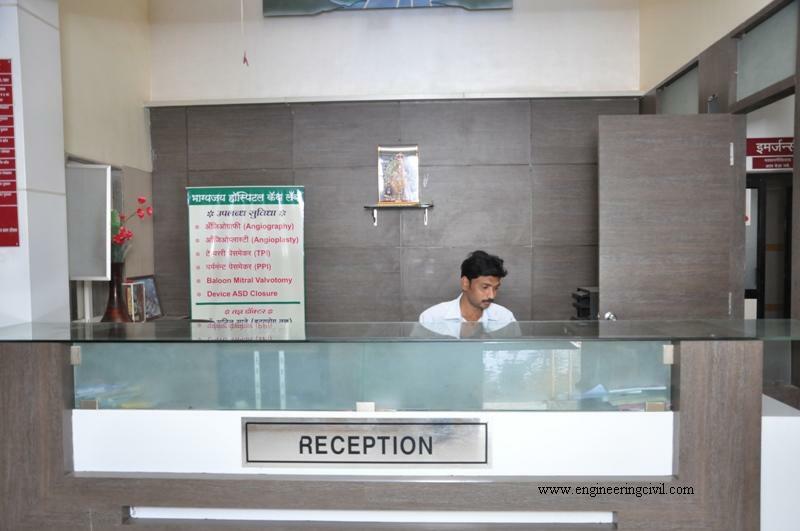 For security point of view in office building there is one entrance of 2m to 4m is provided. 4.5.2 Corridors:The main circulation corridors should be sufficient width and not less than 1.8m and not more than 3m wide. A central corridor with rooms on either side is very economical. Though, the central corridor system is economical, office rooms from sun, wind and rain. The corridors should be well ventilated and lighted by natural or artificial means. 4.5.3 Storage: Filling cabinets are still predominant method of storing office papers, but many other possibilities exist including suspended and lateral filling, which can be considerably more efficient in space use. Microfilm can be used to reduce bulk of paper held in offices, but it may not always be acceptable substitute because of complexity, cost, legal requirements to preserve original copy. 4.5.4 Sanitary units:Sanitary blocks should be provided on every floor separately for either male or female. For offices either w.c. toilets are attached to their rooms or placed in a separate room. Sanitary units should be provided on the scale recommended by the building bye laws. According to NBC2005 the following units should be provided for male and female. Banks are of three categories: Savings banks, Commercial banks and Agricultural banks. The savings banks in addition to savings account transaction, may provide its clients with lockers in the safe deposits vault. Commercial banks in addition to saving accounts, cash credits, collecting bills and cheque against receipts , shall be having transactions as advancing loan against mortgages of the goods kept in the custody of the banks. Agricultural banks additional to saving account transaction, shall be having loan sanction for agricultural development. The operations of each are differentiated by law, but all are primarily depositaries of the peoples money reinvested by the bank in the form of loans or by the purchase of government or private companies bonds. The banking space includes all areas common to the public and bank officials and employees. • Banking: The activity of banking needs areas for public space, working spaces for tellers counter and officers platform. The size of public space will be decided by the volume of bank business and the span of working hours. The public lounges may be provided with accompanying toilet facilities for convenience of the customer. Writing desk of at least 600mm width and 450mm depth per person are to be provided.The basis for provision for working space and public space may be adopted as 5sq m to 6.5sq m per counter window. The length of counter is about 1.2m to 1.5m per clerk and height from the floor is usually kept at 1.6m to 1.8m. Width of the cabinet or depth of the counter may be varying from 450 mm to 900 mm depending upon the requirement. The space below the counters can be used for drawers or cabinets for keeping ledgers, pass-books, signature cards etc. The width of the working space leaving 450 mm for chair varies from 1.2 m to 3 m according to the requirement. The officer’s platform is set apart from the public space by a minimum barrier of some sort, such as change in level, of different floor material or covering, low rails, low partitions etc. It should be near main entrance where officers can see the incoming customers. Senior officers are placed in more remote parts of the platform for greater privacy. And area of 9.25 sq. m. to 11 sq. m. per officer is generally provided. doctors, lawyers and police stations. a) Fire Zone No. 1 — This shall comprise areas having residential (Group A), educational (Group B), institutional (Group C), and assembly (Group D), small business (Subdivisions E-1 ) and retail mercantile (Group F) buildings, or mess which are under development such occupancies. Buildings erected in Fire Zone No. 1 shall conform to construction of Type 1, 2, 3 or 4. At the time of designing openings in separating walls and floors, particular attention shall be paid to all such factors as will limit fire spread through these openings and maintain fire rating of the structural member. For Types 1 to 3 construction, a doorway or opening in a separating wall on any floor shall be limited to 5.6 m2 in area with a maximum height /width of 2.75 m. Every wall opening shall be protected with fire-resisting doors having the fire rating of not less than 2 hr. All openings in the floors shall be protected by vertical enclosures extending above and below such openings, the walls of such enclosures having a fire resistance of not less than 2 h. Openings in walls or floors which are necessary to be provided to allow passages of all building services like cables, electrical wirings, telephone cables, plumbing pipes, etc, shall be protected by enclosure in the form of ducts/shafts having a fire resistance not less than 2 h.
a) Reasonable safety to the occupants while using the means of egress by preventing spread of fire, smoke, or fumes through vertical openings from floor to floor to allow occupants to complete their use of the means provide a clear height of 2 100 mm in the passage/escape path of the occupants. Where openings are permitted, they shall not exceed three-fourths the area of the wall in the case of an external wall and they shall be protected with fire resisting assemblies or enclosures having a fire resistance equal to that of the wall or floor in which these are situated. Air-conditioning and ventilating systems shall be so installed and maintained as to minimize the danger of spread of fire, smoke or fumes from one floor to other or from outside to any occupied building Air-conditioning and ventilating systems circulating air to more than one floor or fire areashall be provided with dampers designed to close automatically in case of fire. All buildings, which are 15 m in height or above,and all buildings with any of the occupancies,having area more than 500 sq.m. on each floor shall have a minimum of two staircases.They shall be of enclosed type; at least one of them shall be on external walls of buildings and shall open directly to the exterior, interior open space or to an open place of safety. The exit sign with arrow indicating the way to the escape route shall be provided at asuitable height from the floor level on the wall and shall be illuminated by electric lightconnected to corridor circuits. The width of horizontal exit shall be same as for the exit doorways.A horizontal exit shall be equipped with at least one fire/smoke door of minimum 1 h fireresistance, of self-closing type. Further, it is required to have direct connectivity to the fireescape staircase for evacuation. The refuge area shall be provided on the periphery of the floor or preferably on a cantileverprojection and open to air at least on one side protected with suitable railings. One refuge area on the floor immediately above 24m. One refuge area on the floor immediately above 39 m and so on after every 15 m. Refugearea provided in excess of the requirements shall be counted towards FAR. Where applicable, fire lifts shall be provided with a minimum capacity for 8 passengersand fully automated with emergency switch on ground level. In general, buildings 15 m inheight or above shall be provided with fire lifts. In buildings of such size, arrangement or occupancy where a fire may not itself provideadequate warning to occupants, automatic fire detection and alarm facilities shall be provided, where necessity, to warn occupants early of the existence of fire, so that theymay escape, and to facilitate the orderly conduct of fire exit drills. All buildings depending upon the occupancy use and height shall be protected by fire extinguishers, wet riser, down-comer, automatic sprinkler installation, high/medium velocity water spray, foam, gaseous or dry powder system in accordance with the provisions. Planning is very important part while the construction of any building. The public buildings are so planned such that environment is ideally for learning, teaching and working together. The principles of planning are aspect, prospect,roominess, grouping, furniture, air conditioning, etc. While planning of any building it is necessary to consider the part of safety because there is the crowding of very large peoples inside or outside the building. Public building is also crowded by peoples so it is necessary to study part of safety while planning. 1. National building code 2005. 5. Handbook of planning of office building by central public work department. ISBN: 978-1-921609-75-6 NCCARF Publication 05/13. What are the IS Codes used Functional Requirements In Buildings? What are the IS codes used for Construction Management?